Between 6 and 22 April 2018 we are inviting you to experience for the first time in Berlin new productions from various corners of the globe. There are established theatremakers whose previous work was shown at the Schaubühne, as well as numerous new discoveries. Many of the invited productions are concerned with forgetting, and attempt to develop an »Art of Forgetting«. The starting point is the utopian desire to overcome personal or societal traumas by intentionally blurring the individual or collective memory. But humanity’s old dream of healing through forgetting quickly degenerates into a nightmare scenario. The suppression of the past leads to the inadvertent reopening of old wounds and the loss of personal and cultural identity. The institutionalised forgetting intended to assist forgiving and the restoration of peace – the amnesty –, becomes a carte blanche for denial of crimes, leading to a collective amnesia. In the era of neoliberalism, a cynically practised »Art of Forgetting« leads to the elimination of entire demographic groups from the public discourse: an army of »the forgotten« who believe their only chance to regain attention lies in following right-wing populists on their paths to triumph. The FIND programme productions counter this »Art of Forgetting« by making the theatre an arena of remembering. A place where suppressed conflicts erupt – and, by doing so, can perhaps indicate a way to overcome them. In »Ibsen Huis« (Amsterdam), drawing on the characters and situations of Ibsen, Simon Stone uses a family and their holiday home to portray a cosmos of individual and collective dismissal of the truth: Ibsen-like grand delusions whose cover-up manoeuvres only serve to reopen old wounds. In »Saigon« (Valence/Ho Chi Minh City), Caroline Guiela Nguyen traces the attempt by Vietnamese exiles in France to come to terms with their trauma – and the ensuing cultural forgetting and personal loss of identity. In »La Despedida« (Bogotá), the Mapa Teatro group demonstrates how a bilateral amnesty connected to the peace process with FARC guerrillas is paradoxically providing the government with the pretext for a communal amnesia intended to wipe out the entire memory of a once revolutionarily utopian ideal. Set in an Alzheimer’s care home for former members of the military junta, the farce »El Hotel« (Santiago de Chile) by Teatro La María caricatures the cynical culture of forgetting that is smugly taking hold amongst those responsible for the torture and deaths during the Pinochet dictatorship. In »Evel Knievel contra Macbeth na terra do finado Humberto« (Montpellier/Ligüeria/Marseille), Rodrigo García breathes new life into the Shakespearean usurper and his inability to forget his crimes and the prophecies of fate by relocating him to north-eastern Brazil. Here, he is in the guise of Orson Welles who, immersed in his film role of Macbeth, has forgotten his real existence and now, being pursued by a Japanese Manga dragon, a motorbike stuntman and two ancient Greek philosophers, tries to free himself from the vestiges of his imagined identity. The Lebanese-Canadian writer, director and performer Wajdi Mouawad travels in the footsteps of Odysseus in »Inflammation du verbe vivre« (Paris) across the waters of the River Lethe into Hades on the search for Philoctetes, the hero of the Trojan War who, upon Odysseus’ instigation, had been deliberately abandoned on a lonely island. Mouawad ends up, however, in the economic crisis of contemporary Greece where he encounters the souls of the dead who have been forgotten by society and wantonly suppressed from the collective consciousness. In »KIND OF« (Haifa/Berlin), Ofira Henig and her ensemble trace the deformations bestowed already in childhood by an education system that concentrates on exclusion and, in doing so, has rendered an entire generation and demographic group as the »forgotten«. In »Qué haré yo con esta espada« (Madrid/Tokio), Angélica Liddell uses two real cases of archaic violence in modern-day Paris – the cannibalistic murder by a Japanese student of his classmate in 1981 and the November 2015 attacks – to get to the roots of violence and destruction that rationalism has suppressed in order to celebrate their transformation into art, into acts of poetic cannibalism. During her stand-up concert performance »BLACK OFF« (Durban/Bern), Ntando Cele uses »whitefacing« to transform herself into an upper-class woman and, together with a rock band, scrutinises white privileges. In »Oh My Sweet Land« (London/Lausanne), Amir Nizar Zouabi observes a woman cooking Syrian kibbeh. The aromas wafting up from the hob allow buried memories of her family’s history and her love for a Syrian exile to resurface. And in »don’t forget to die« (Munich) by Karen Breece, five people between the ages of 74 and 94 attempt to come to terms with their own death. Above and beyond all this, a panel discussion with Didier Eribon, Geoffroy de Lagasnerie and Katja Kipping, audience conversations, and an edition of Streitraum (Room for Debate) on issues surrounding the far-right German NSU terrorist group also await you. And the weekends see a poetry slam, a concert and parties. In 2018 the ten-day »FIND plus« workshop programme is taking place for the eighth time. This year it is bringing together acting and directing students from France, Germany and Portugal. The 75 students from schools in Paris, Berlin and Lisbon are meeting the festival’s theatre-makers, accompanying the programme and working together in master-classes taught by specially invited lecturers. They will be joined by a class from the New York Tisch School of the Arts. In previous years students from Croatia, Palestine, Poland, Russia, Tunisia, Turkey, Hungary and Greece have all been our guests at this special opportunity to meet the theatre-makers of the future. 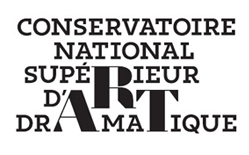 FIND plus is supported by the Allianz Kulturstiftung, the Franco-German Youth office (FGYO), the Conservatoire national supérieur d’art dramatique (Paris) and the NYU.